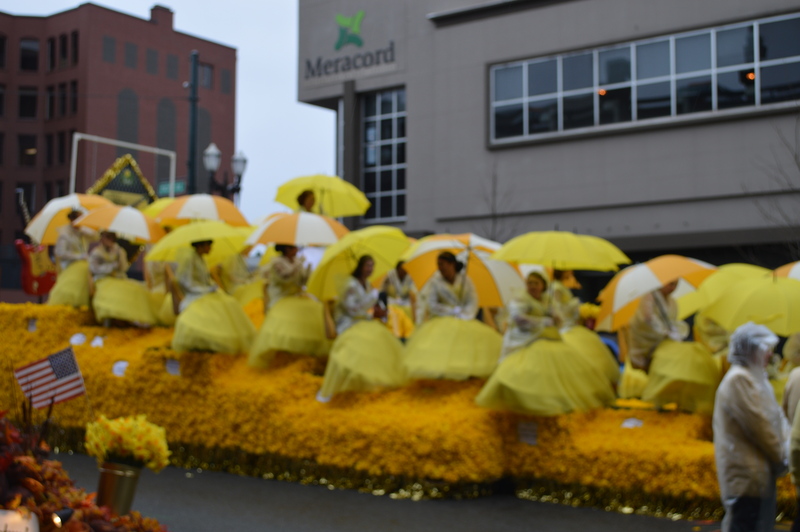 The Daffodil Festival Grand Floral Parade is an annual celebration of the community, history, traditions, and growth, of its home of Pierce County. Traveling through the four cities of Tacoma, Puyallup, Sumner, and Orting, the Parade consists of over 180 entries, including floats, bands, marching, and mounted units. Linking one generation to another in tradition, floats are decorated with thousands of fresh-cut daffodils, just like the daffodil flowers that grew in the Puyallup Valley since over 80 years ago.